Start your day the King Valley way, with Prosecco and a beautiful breakfast. The five Prosecco producers of King Valley form a collaborative called King Valley Prosecco Road. On Prosecco Road, you can sip and play all day, taking in scenic walks, cooking classes, dining experiences and masterclasses in this light, bubbly and elegant wine style. Match Prosecco from Dal Zotto, Chrismont, Brown Brothers, Pizzini and Sam Miranda to a two-course breakfast served in the Pialligo Estate Farmhouse. A splendid way to start your day, whether you are headed to the Tastes of Two Regions Exhibition later, or just coming for a special treat on a Sunday morning. 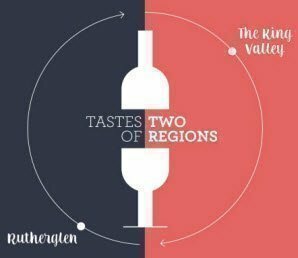 Tastes of Two Regions brings the wine and food of King Valley and Rutherglen to Canberra.